Elmegade is a popular and vibrant side street to Nørrebrogade and Sankt Hans Square in Nørrebro. The street buzzes with activity and is known for its small creative boutiques, bars, take away’s and cafes. 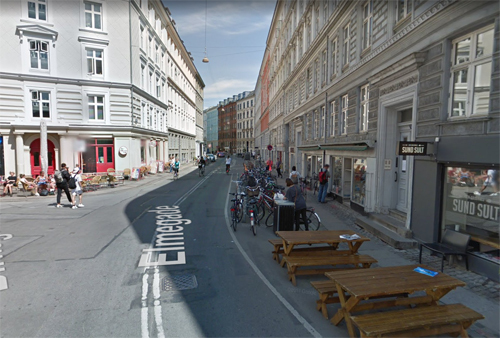 In Elmegade, the atmosphere is relaxing and cozy – just like in Værnedamsvej and in Jægersborggade – and many young people and students hang out with friends on the sidewalk, outside the cafes or at benches at Sankt Hans Square. Also young families with children and girlfriends with prams meet for a chat and a cup of coffee at The Laundromat Café or outside Kaffebar. 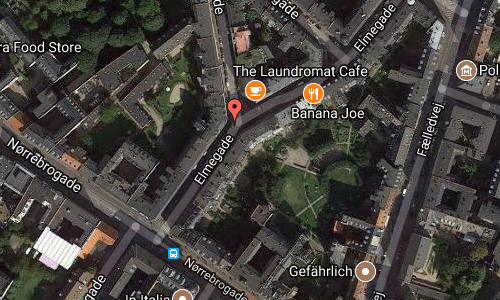 Many Copenhageners really do love Elmegade so go visit it while you are in Copenhagen, feel the lively but relaxing atmosphere and find out if you love it too! 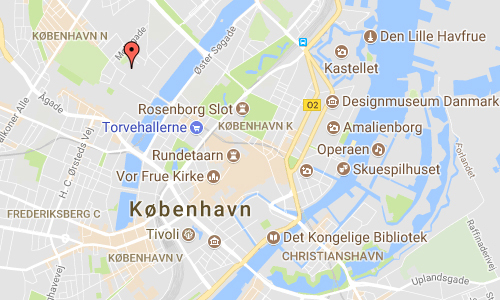 More information at da.wikipedia.org and www.visitcopenhagen.com.